The power of Genesis lies in its stories, especially those of the creation, the Fall, Cain and Abel, Noah, Abraham, Jacob, and Joseph. Armstrong traces the grand design of Genesis and its great themes, examines its stories in fascinating detail, and shows why and how they work so well to illustrate the human quest for meaning. We discover how these ancient tales illuminate our most profound and intractable problems: our struggle with evil, with obtuseness, with cowardice, and particularly with the difficulty of facing up to the consequences of our past actions. 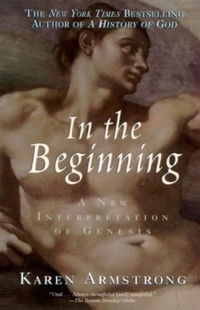 Most significantly, Armstrong makes clear how the stories in Genesis can help us to relate - morally - to our own personal histories in our strivings to make ourselves whole, and to grasp why the struggle itself is worthwhile even if its goal is never fully achieved.